The ultimate cleanser for dry and sensitive skin types, Milky Lotion Cleanser gently dissolves makeup, pollutants, bacteria, dirt particles, and other surface impurities. This soothing cleanser is effective without harming the skin's protective barrier and irritating or drying out the skin, which helps prevent continual damage and chronic inflammation. Perfect for post-treatment or post-procedure cleansing. Great for rosacea and other skin conditions/diseases. Ideal for dry and/or sensitive, and delicate skin. 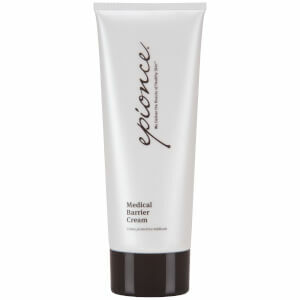 Apply 1-2 pumps to dry or damp skin. Rinse with warm water or gently remove with tissue. Pat skin dry. This cleanser is great for my winter dry skin. It does in fact move make - up unlike many milky cleansers for dry skin. It is also fragrance free and leaves no residue.